The American Police have always been a tool of the affluent. The creation and proliferation of Police Forces have always been at the behest of those with Economic Power. American Police have never been charged with serving and protecting the Citizen. They have always been a tool of oppression. 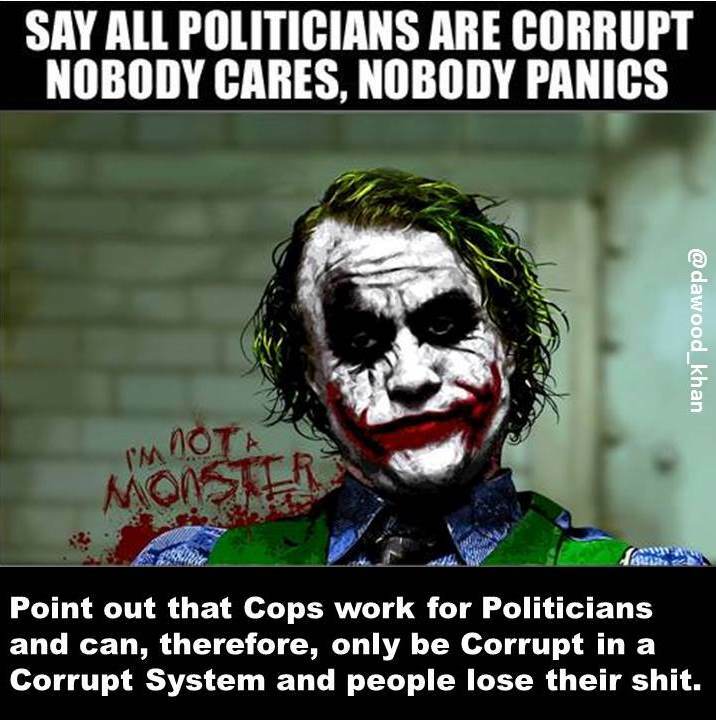 They serve the interest of the State. The State serves the interests of the Corporate Elite. 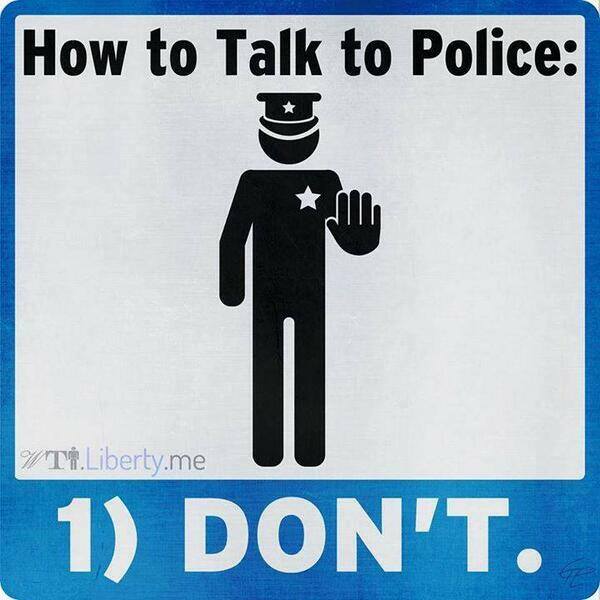 Support of the police by the Citizen is a direct contradiction of the Citizen’s own interests. It is tantamount to the slaves of the antebellum South proclaiming support for the Slave Patrols and the Fugitive Slave Act. The modern police force not only provided an organized, centralized body of men (and they were all male) legally authorized to use force to maintain order, it also provided the illusion that this order was being maintained under the rule of law, not at the whim of those with economic power. In the Southern states the development of American policing followed a different path. The genesis of the modern police organization in the South is the “Slave Patrol” (Platt 1982). 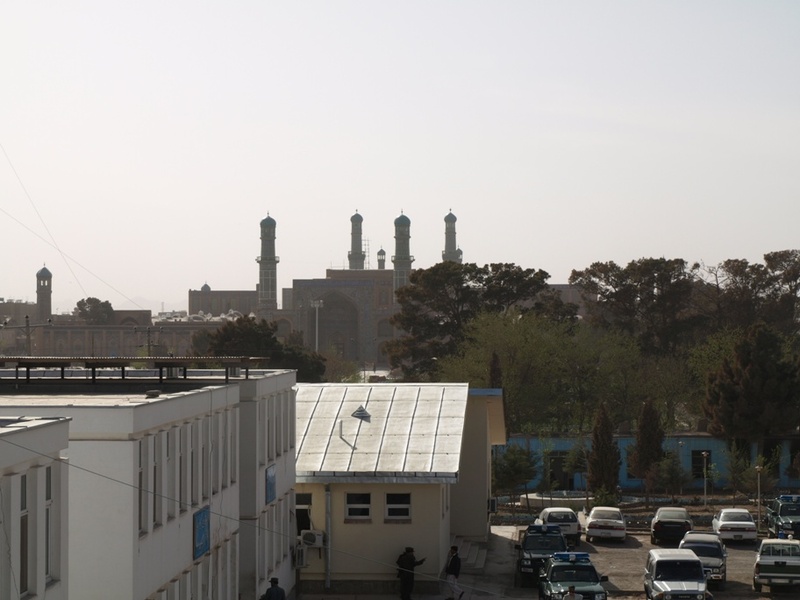 Herat is the largest city in the Western Region of Afghanistan. The city is as old as mankind. It pre-dates Alexander the Great by centuries and has been invaded and conquered by every power to sweep through Asia. Following Alexander were the Ghaznavids, Ghorids, Timurids, the Mongolian Hordes, the Mughals of India and Central Asia. The British tried to take the city through force of arms. The Czars of Russia attempted to steal it away through both armed force and and intrigue. 100 years afer the Czars failed, the communists of Soviet Union invaded and were eventually thrown back across the Amu Darya by the Afghans with a healthy bit of assistance from American Stinger missiles. Lastly, the Taliban took it in the late 90s. As we all know, the Taliban were forced out after the International Community finally came to it’s senses in the post-9/11 era. Presently it is a hesitant member of the Karzai government. It’s chief is held hostage of a sort of the Kabul government so that Karzai can avail the central government of the border taxes from trade with Iran and Turkmenistan. 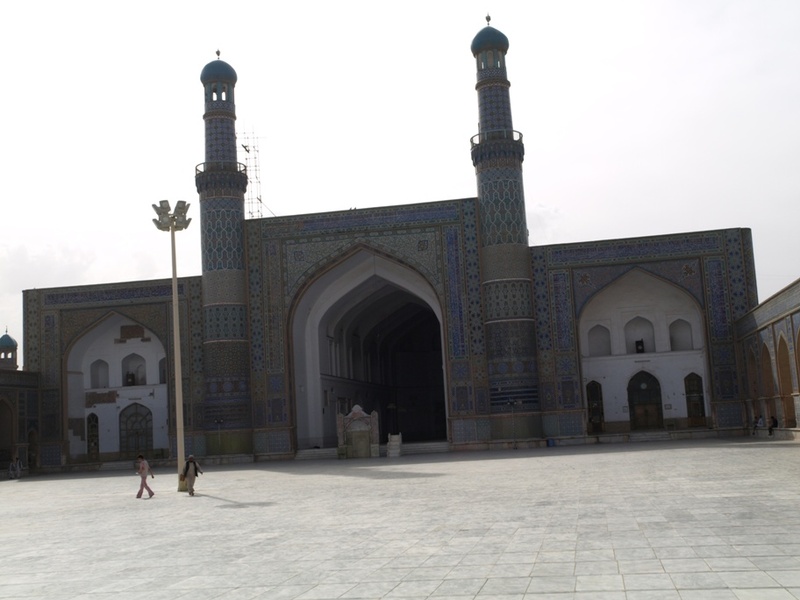 The heart and soul of Herat is the Masjid-i Jami. The Friday Mosque also known as the Great Mosque and the Blue Mosque. This is the community mosque. On Friday–the Muslim holy day, many of the cities inhabitants gather at theMosque to pray or socialize or just as an excuse to get out on a sunny day and relax among their fellow Heratis. 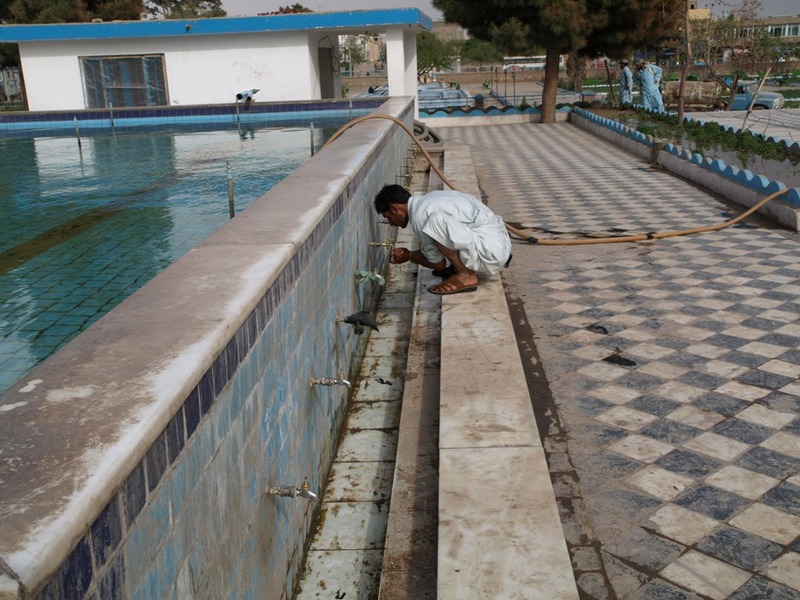 Mosques usually serve as a community center of sorts. They are a place where a city or village residents gather and hear the news or read the Qu’ran. Of course, there is the muezzin calling sura’s from the Qu’ran 5 times a day as well. Masjid Jami was built bythe Ghurid rulers in 1200 AD making it about 800 years old. By the end of the Century, Ginghis Khan would roll through Herat. Leaving the city and the mosque in ruins. It would suffer through war and natural disaster but ultimately survive. It has been renovated several times over the centures by various rulers who have left their unique cultural mark. As with all Mosques, it faces Mecca. In this case facing South West. 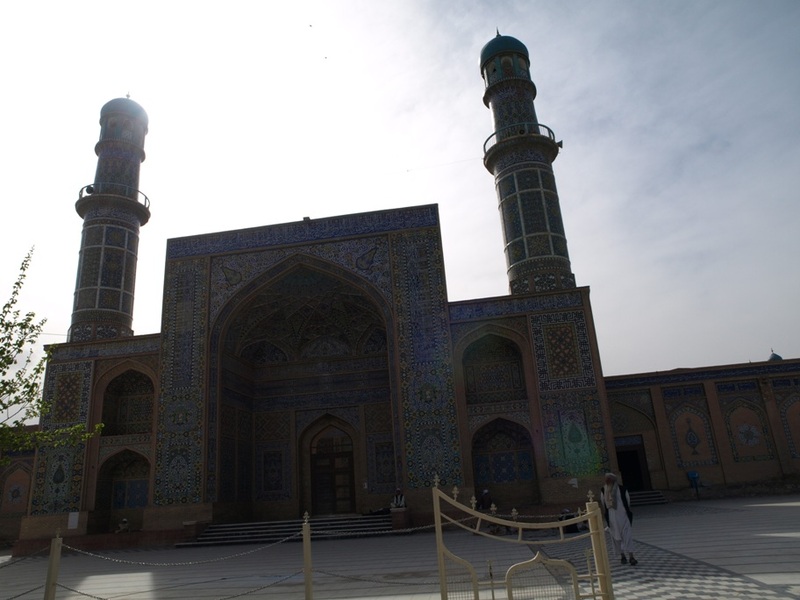 The great mosque of Herat is one of Afghanistan’s more attractive sights. The form in which it stands today was originally laid out on the site of an earlier 10th century mosque in the year 1200 by the Ghrid Sultan Ghiyasuddin. Only tantalizing fragments of Ghorid decoration remain except for a splendid portal situated to the south of the main entrance. (enter from front situated to the south of the main entrance. (Enter from front garden through small door in mosque wall.) A bold Kufic inscription, including the name of the monarch, stands in high Persian-blue relief above a soft buff background intricately designed with floral motifs in cut brick. The combination of the bright, bold straight-lined script contrasts dramatically with the graceful delicacy of the background. It is an exciting example of the artistic sophistication of the ghorids. This stunning decoration was hidden under Timurid decorative tile until the winter of 1964 when experts working with the Kabul Museum removed the later Timurid decoration dating from the 15th century. The upper section of the Timurid arch, lower that the ghorid arch, has been left for interesting comparisons. Ghorid geometric patterns give way to increasingly exuberant floral patterns in the timurid decoration; coloured tile used sparingly only as an accent by the Ghorid is used to cover every inch of the architectural facade by their successors. 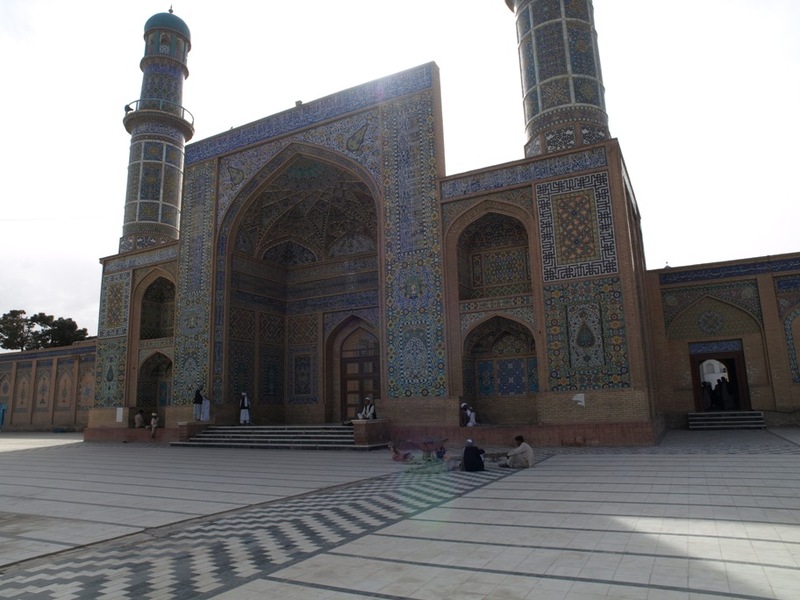 The lavish Timurid decorative restoration covered the entire surface of the mosque but it disappeared as the unstable political climate enveloped Herat during the 400 years following Timurid rule. Photographs taken in the courtyard in the early tears of the 20th century show only piles of rubble against bleak, white-washed walls. In 1943 an ambitious restoration program began and continues to today. It is the creation of three noted Herati artists, Fikhri Seljuki Herawi, Mohammad Sa’id Mashal-i Ghori, and the accomplished calligrapher, Mohammad Ali Herawi. A visit to the mosque workshop (to left of corridor leading from the front garden into the courtyard) is highly recommended. 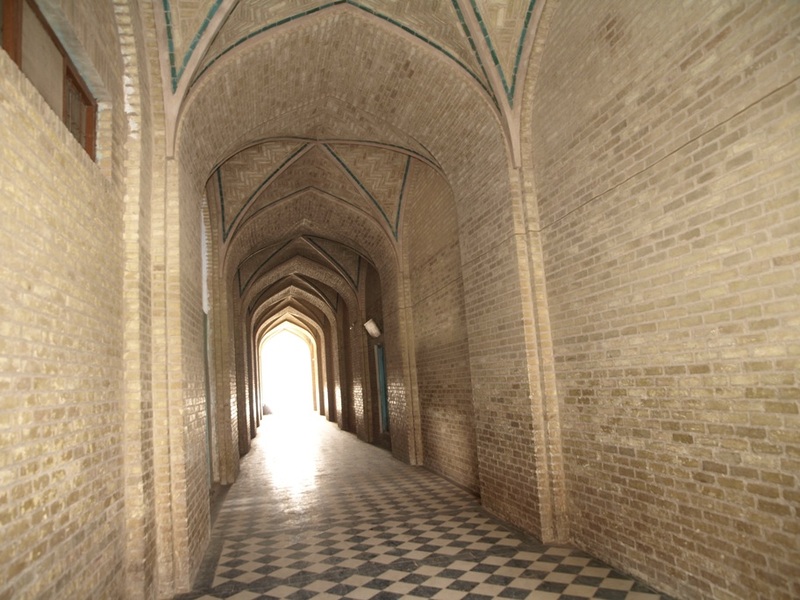 …” Better preserved fragments of Ghorid decoration may be seen on the arches of the short corridors on either side of the main iwan where the mehrab (prayer niche) is let into the west wall. Here the work was executed in cut brick and molded terracotta. In the south corridor, there is a Kufic inscription with a floral background done in a distinctive angular “brambly” style little seen elsewhere. Above this band there are two large panels of brickwork interspersed with x-form plugs and bordered with an undulating chain of molded terracotta arabesques. Simple in concept, the use of plain unadorned brick for design and texture produces a thoroughly handsome effect which is both aesthetically pleasing and strong. Between these brick panels there is a narrower panel filled with a complicated geometric design formed by a series of buds and interconnecting tendrils. I have not been inside Masjid-i Jami. 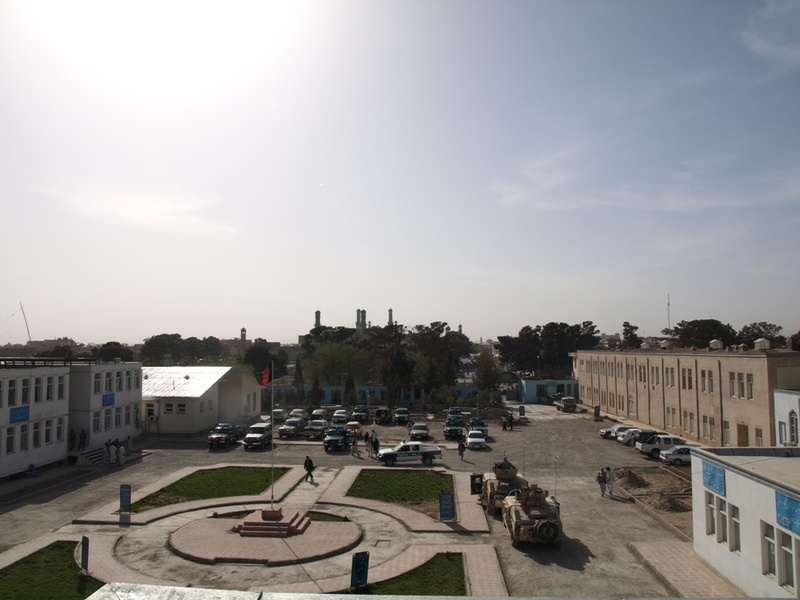 The military and my employer deem it too dangerous to roam freely or even armed in downtown Herat. These pictures were taken by my Interpretor who lives in the city. I visit the Provincial Police Headquarters (PHQ) about once every two weeks or so. This mosque is directly across the street. Every time that I’ve gone to the PHQ, Masjid-i Jami is full of folks. Children, elderly folks, students. Women in the burqa or chidari as the Tajiks call it. Burqa is a Pushtoon word. 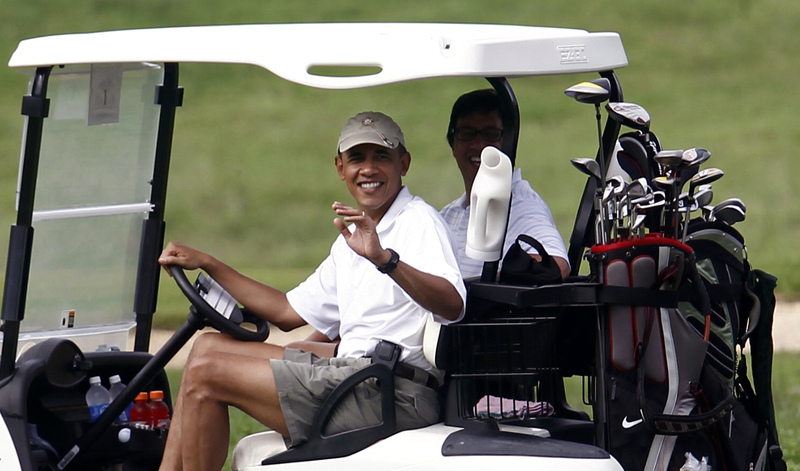 I’ve seen blue and black burqas worn here. 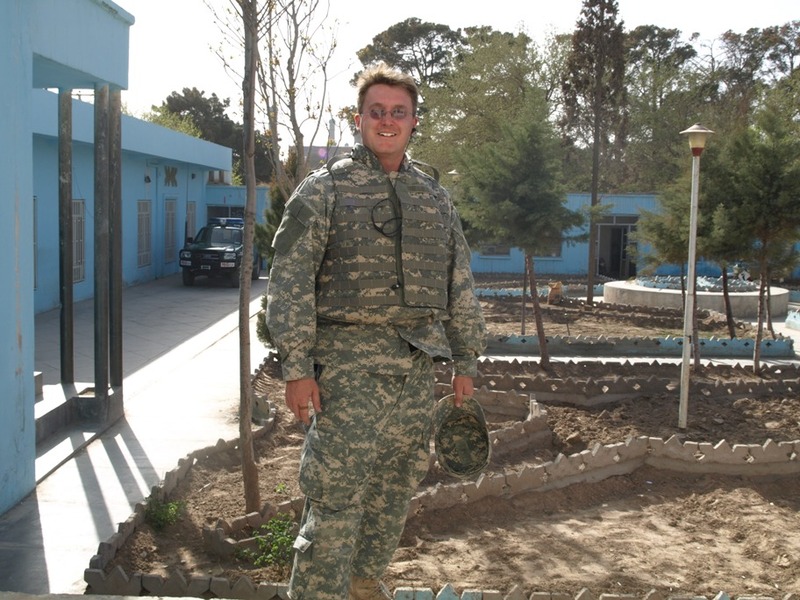 In Kabul, I’ve seen pink, green and white worn. I imagine the folks at the mosque are out there contemplating, praying. Trying to find their path in life. Seeking God or the Eternal and Sacred. In many respects, these people are like the rest of us in the world. They seek a better life for themselves and their children. Islam, in my opinion, turns the advantage against them. Islam, from my experience, has widespread problems with poverty and illiteracy. Education of the masses is not a Muslim priority. Rote memorization in a Madrassah is not literacy. Nor is it education. The more “western” a Muslim country. The more likely that it’s people will be educated. This is especially true of women in Muslim countries. There is a reason so many Muslims and especially Arab Muslims are educated outside of the lands of Islam. The city market and two rather large schools are close by as well. It’s quite odd for me to see segregated schools as is the fashion in Muslim countries. At the end of the school day, the boys run out loud and excited wearing western style clothing. 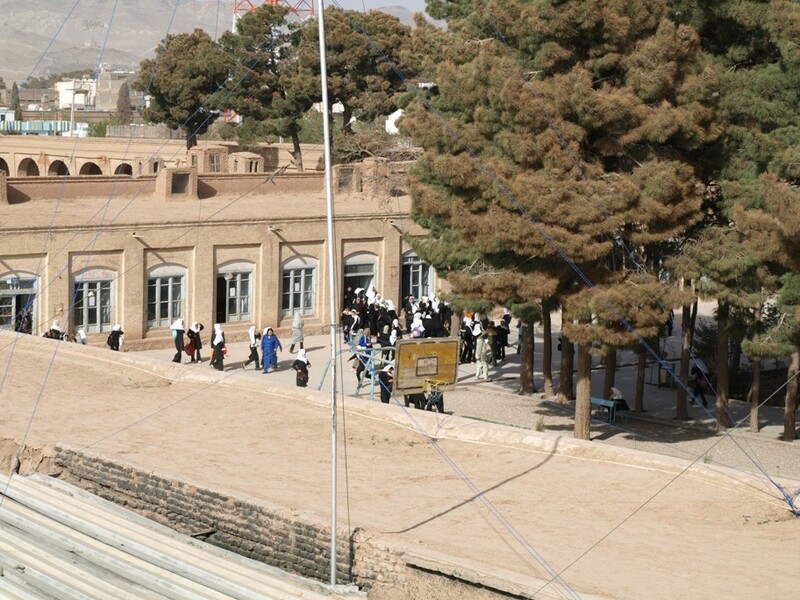 The girls run out just as animated wearing a black and white uniform consisting of a black tunic and white hijab (girls-school.jpg). I had to wonder why the boys weren’t made to wear a uniform as well. 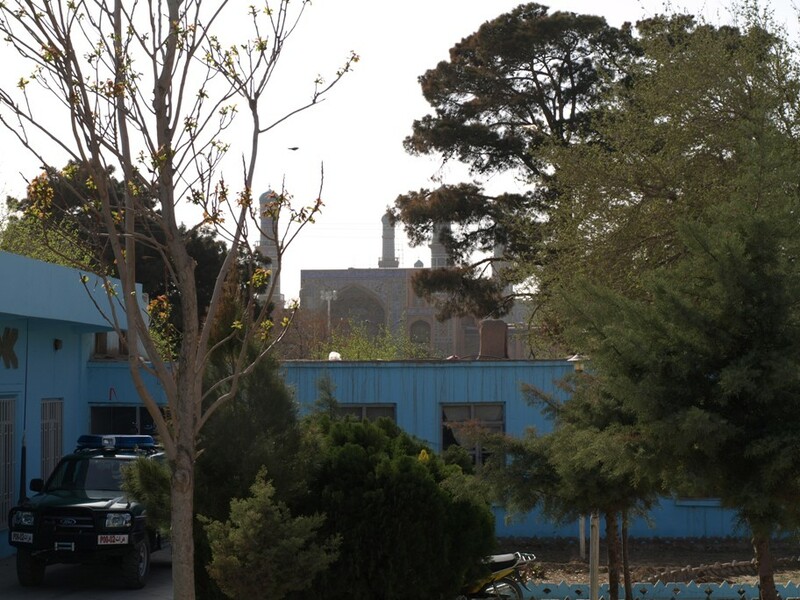 Driving around Herat on the way to the Regional and Provincial Headquarters, is always fascinating. The shops. The people. The vehicles. The city is almost always a sweltering mass of humanity. The streets are never empty. I’m always left wondering. What do these people do in their lives? Where are they headed? Do they hate our presence, love our presence or merely see us as a necessary evil to gain security. Sometimes, I feel like we are wasting our time here. Sometimes, I see hope. 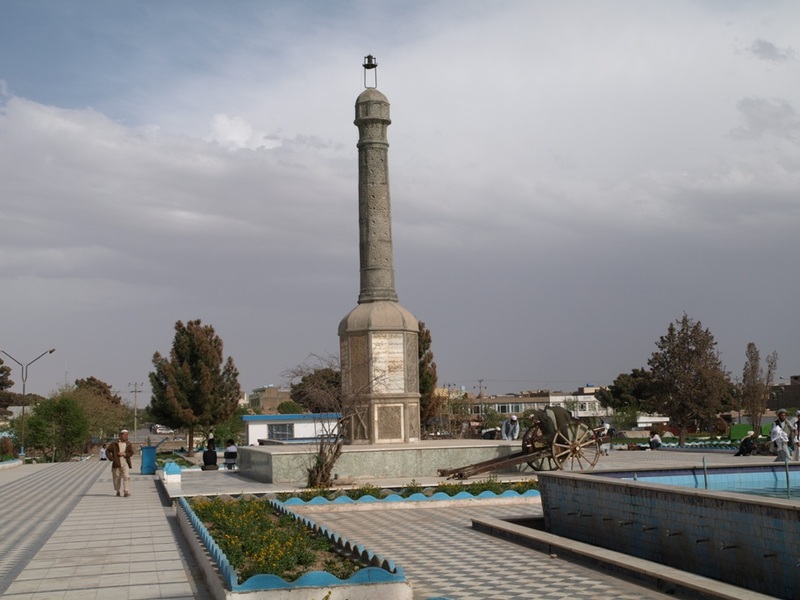 Note the 18th Century Cannon on display outside the Mosque. Renovation and repair. 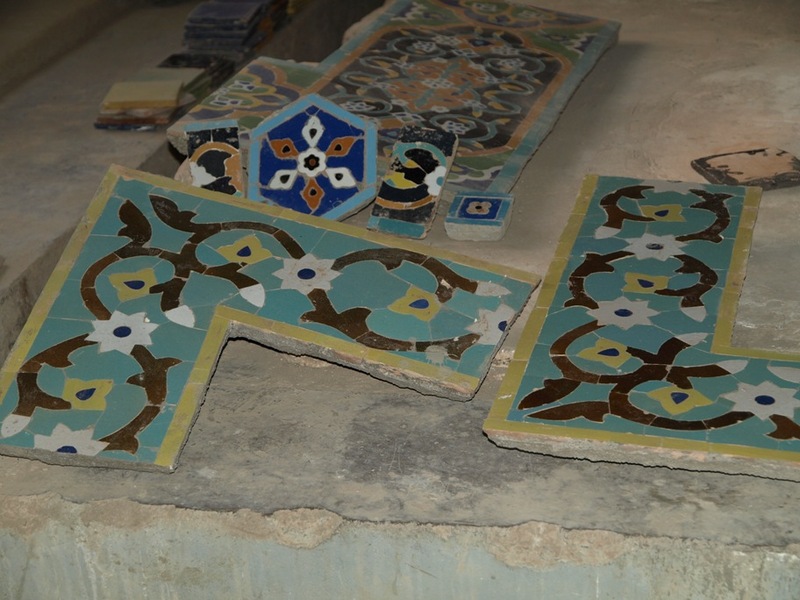 Tiles being repaired. The inner courtyard area of the Mosque. 2. Wash the hands up to the wrists, three times. 3. Rinse out the mouth with water, three times, preferably with a brush whenever it is possible. 4. Cleanse the nostrils of the nose by sniffing water into them, three times. 5. Wash the whole face three times with both hands, if possible, from the top of the forehead to the bottom of the chin and from ear to ear. 6. Wash the right arm three times up to the far end of the elbow, and then do the same with the left arm. 7. Wipe the whole head or any part of it with a wet hand, once. 8. Wipe the inner sides of the ears with the forefingers and their outer sides with the thumbs. This should be done with wet fingers. 9 Wash the two feet up to the ankles, three times, beginning with the right foot. View of Masjid-i Jami from the rooftop of PHQ. I had to climb a rickety, wooden, home made ladder to get to the roof. It was shaky but I made it up and back down. All 210 pounds of me plus body armor. I thought the thing was going to snap on me. It was worth the climb for the view of the city.